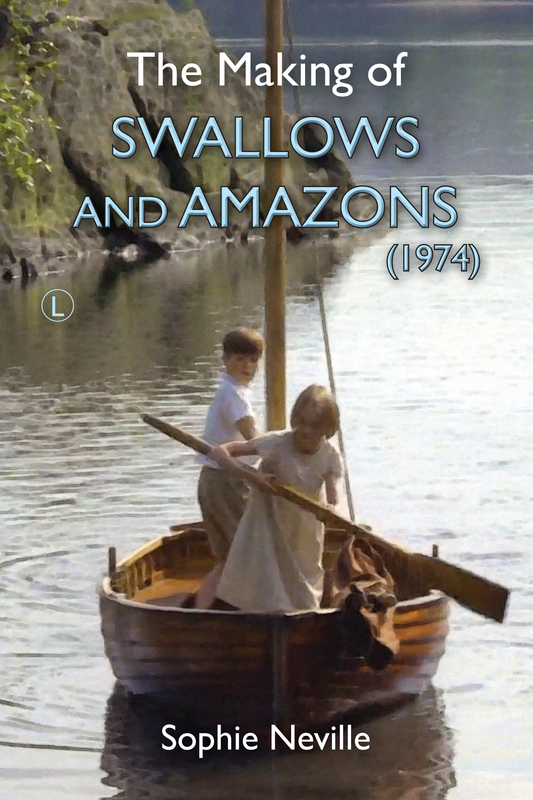 Can you remember ‘Swallows & Amazons’ coming out in the cinema? 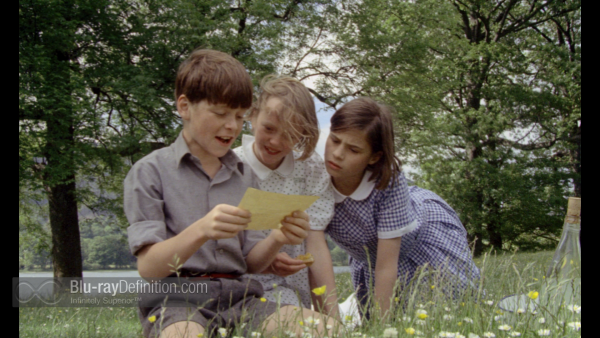 The film ‘Swallows & Amazons’ (1974) is broadcast today, Sunday 12th July, on ITV 3 at 3.45, repeated on ITV+1 at 6.00pm. This was quite funny since, ‘Swallows and Amazons’ is about children cooking on campfires, eating canned bully beef or ‘pemmican’ while swigging ‘grog’ out of bottles, as far as possible form adult supervision. 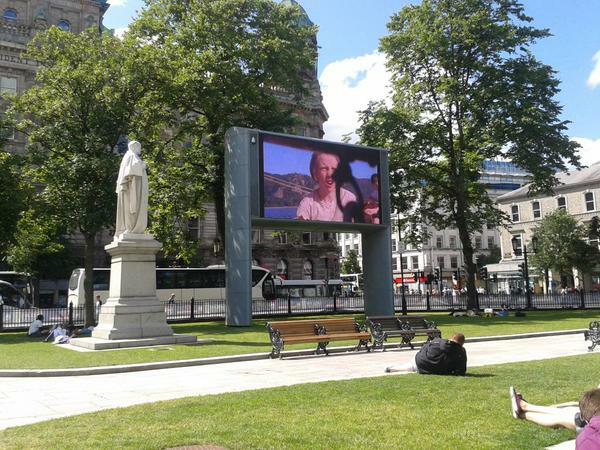 However, the movie was actually shown outside last Saturday – on a huge screen under the trees opposite Belfast City Hall. ‘THIS OUTDOOR EVENT’, they declared, ‘WILL HAPPEN REGARDLESS OF WEATHER CONDITIONS’. Since the story is about camping this did seem apt but as you can see from the photograph above, it was an idyllic sunny summer’s day. 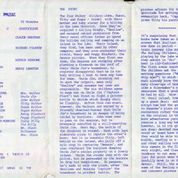 The DVD reviewer Stuart McLean writes: ‘The cast were pretty much the same age as me in 1973 (when it was filmed) and I remember enjoying this tremendously when it came out in 1974, forty years ago. 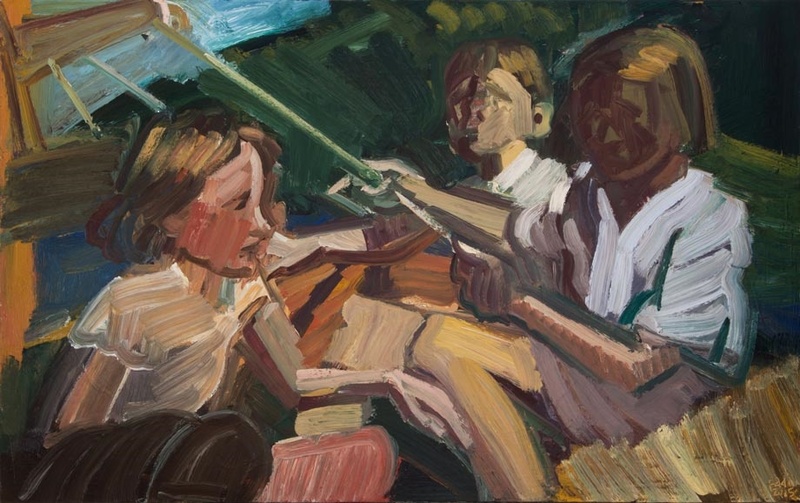 Back then, the idea that four school-kids could take off in a boat for days at a time with no life-jackets seemed perfectly plausible. 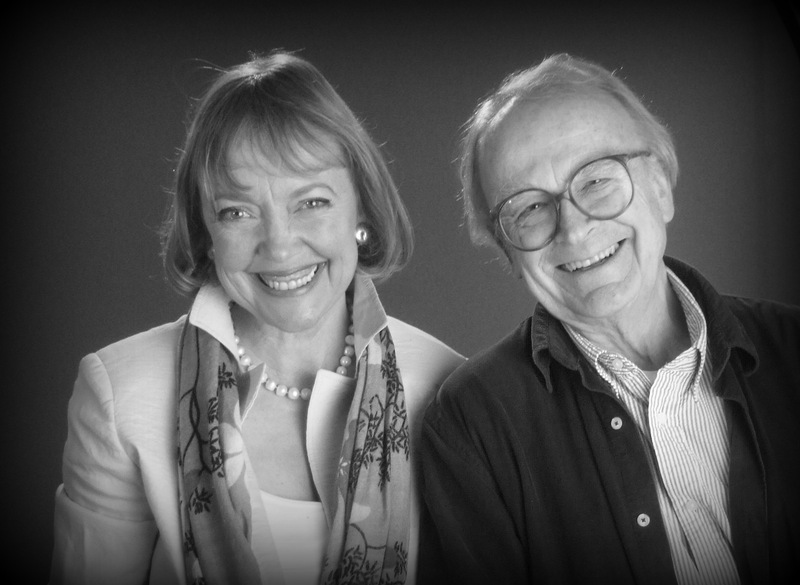 These days it would be cause for 24 hour rolling news reports.’ Please click here to read on. 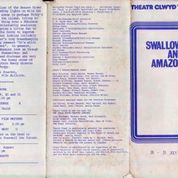 Simon Hodkin kindly sent these scans of the cinema programme when he first went to see Swallows & Amazons in Wales some forty years ago. 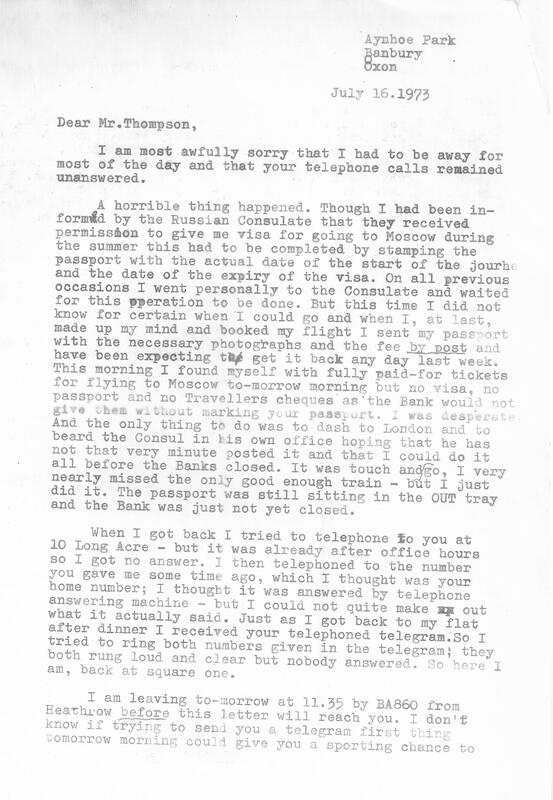 He kept a scrapbook full of souvenirs, including a letter from Arthur Ransome. 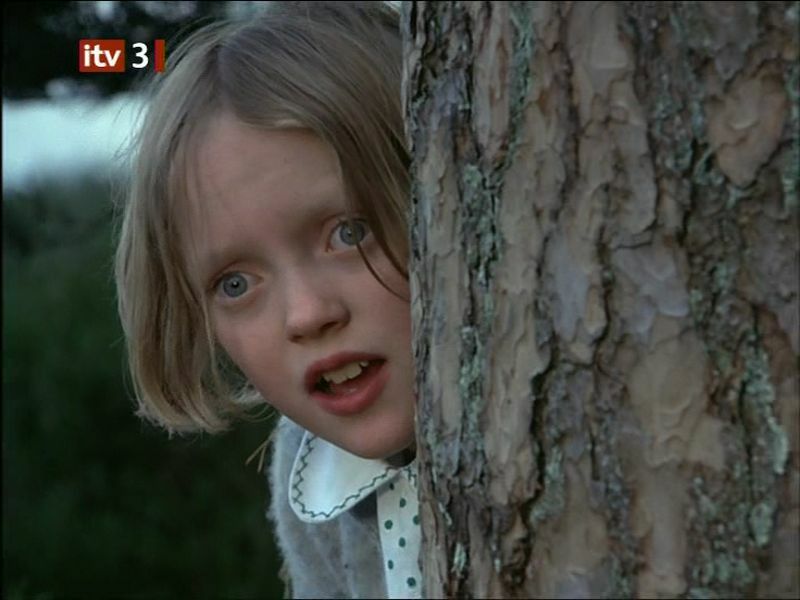 Can you remember the first time you saw the film? Please add to the Comments box. 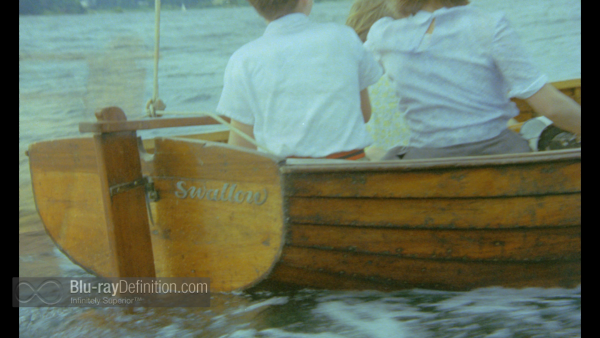 Why is ‘Swallows and Amazons’ so inspirational? 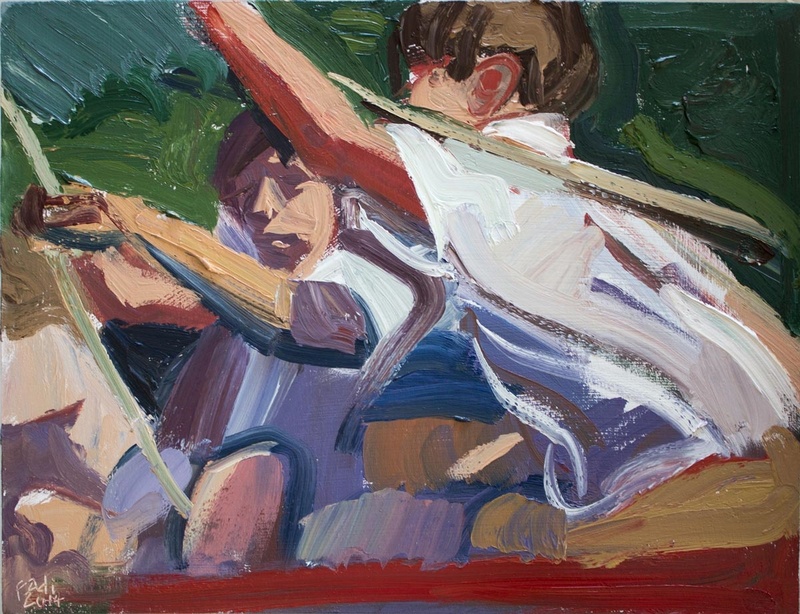 As you can see from these paintings, Fadi Mikhail, the artist famous in the UK for painting one of our Christmas stamps and being commissioned by the Prince of Wales, as well as the Duke and Duchess of Cambridge, was certainly inspired by the film of ‘Swallows & Amazons’ made in 1973. 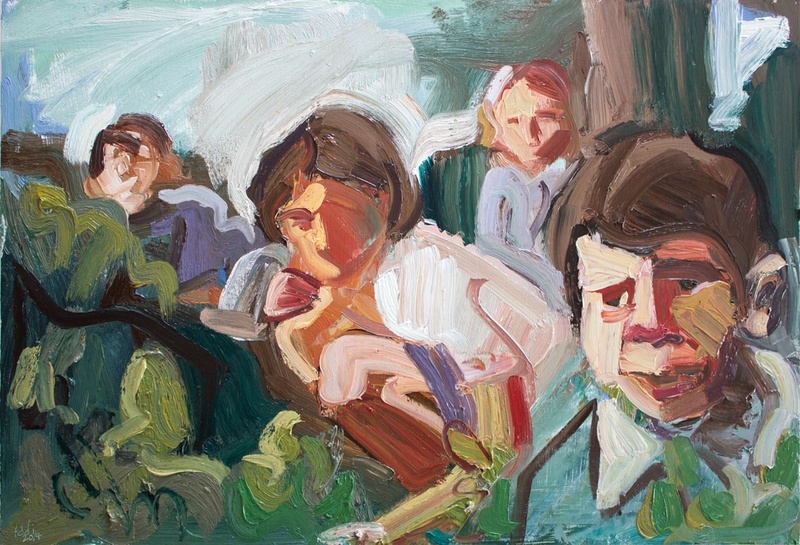 He has kindly let me publish this remarkable series of paintings. 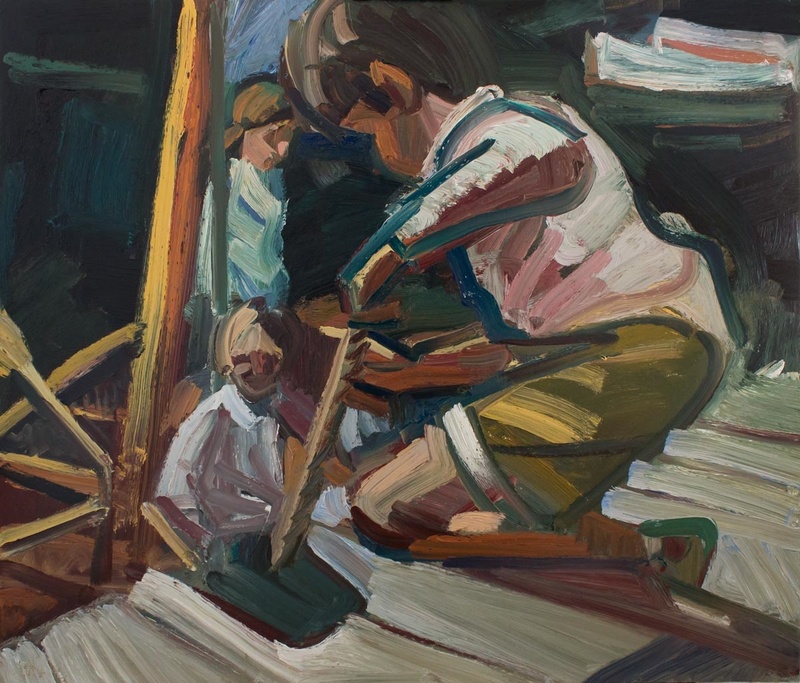 ‘…the Swallows don’t own ‘Swallow’ – they’re having a farmhouse holiday and the boat belongs to the farm, and that could just have happened to any of us. Norman Willis… used to rise up against critics who considered that children from poorer backgrounds should read books full of gritty reality related to their daily lives: he pointed out that they wanted to escape from their daily lives for a few precious hours, not always into a zone of dragons and princesses but into an alternative realistic world.’ Jill Goulder of The Arthur Ransome Society. 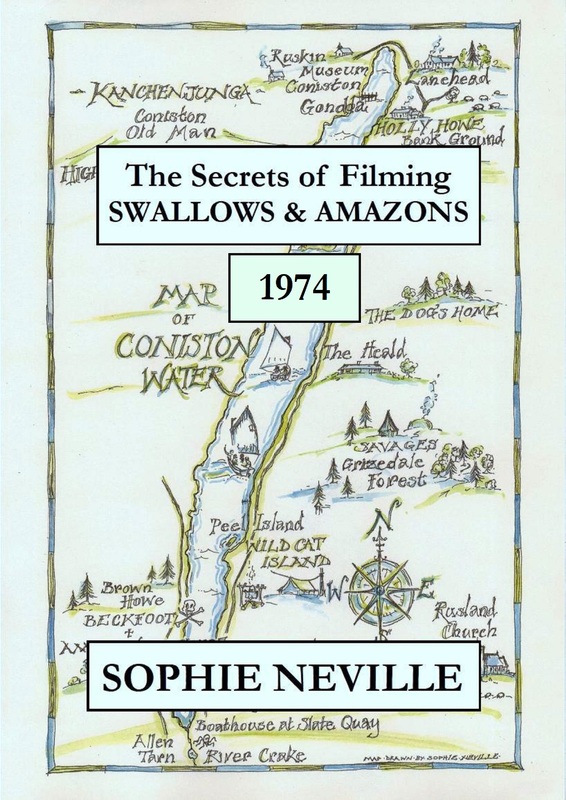 ‘What I liked most about these stories was that the Swallows and Amazons and their friends behaved like real children, but lived in a completely different world from the one I inhabited. 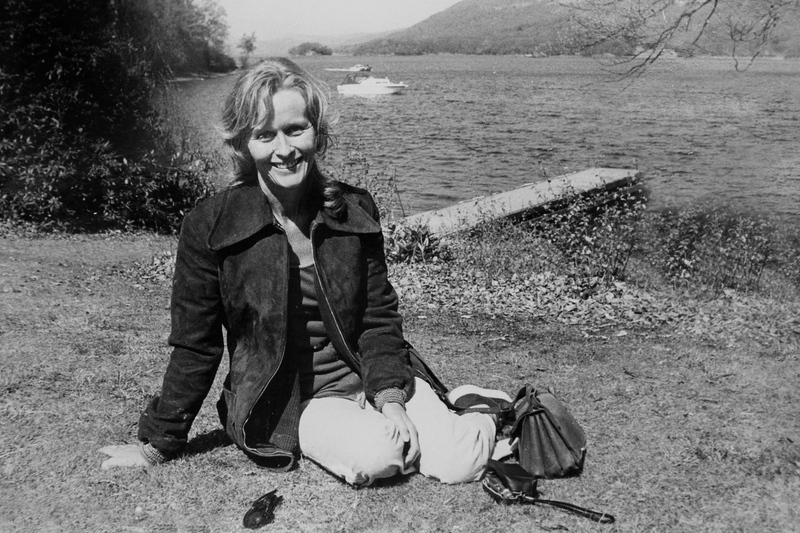 I’d camped with the Girl Guides, but the Swallows and Amazons had astounding freedom – camping alone on an island, going out at night and sailing wherever they liked without needing to ask permission.’ Emily Lock ‘…the books gripped my imagination forever’. Please click here to read Emily Lock’s full review. ‘The combination of practical realism – everything that happens could happen – and the child’s viewpoint makes the story and it’s sister volumes almost unique even now,’ Andrew Craig-Bennett of The Arthur Ransome Group on Facebook. The whole series of books clearly have a worldwide following popular from one generation to another. ‘I don’t find this surprising. I got my first Arthur Ransome book (Swallowdale) as a present, in 1948. At the time it was a copper-bottomed dead cert as a present for any child, couldn’t be criticised, known to be virtuous, and incidentally known to be good. All that is still true and has been for decades. I don’t think it could fail to be up there. Children may now prefer Star Wars, Lego books or Minecraft (my grandsons certainly do), but books are still *bought* by adults.’ Peter Ceresole ‘The book has lasting appeal, particularly for children, because there is nothing in the adventures of the Swallows and Amazons that readers feel they could not do themselves. 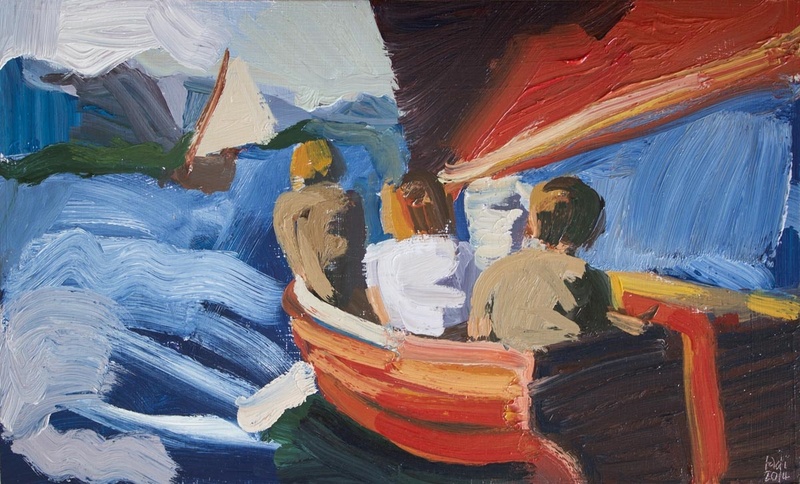 They felt they could sail a dinghy like the Swallows. 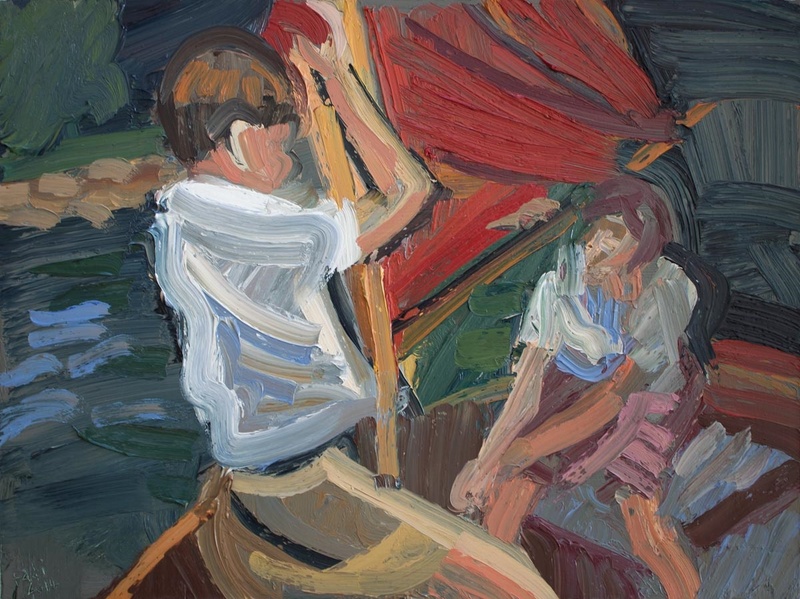 I know, because when adults came aboard Ransome’s restored boat Nancy Blackett in recent years, many had tears in their eyes and said: ‘I learned to sail from the books; and Arthur Ransome was the biggest influence on my life.’ The story is not like so many others an unachievable fantasy. This must stem in part from the fact that the characters are based on real children and on Ransome’s observation of those real children. The quality of the plotting is superb. 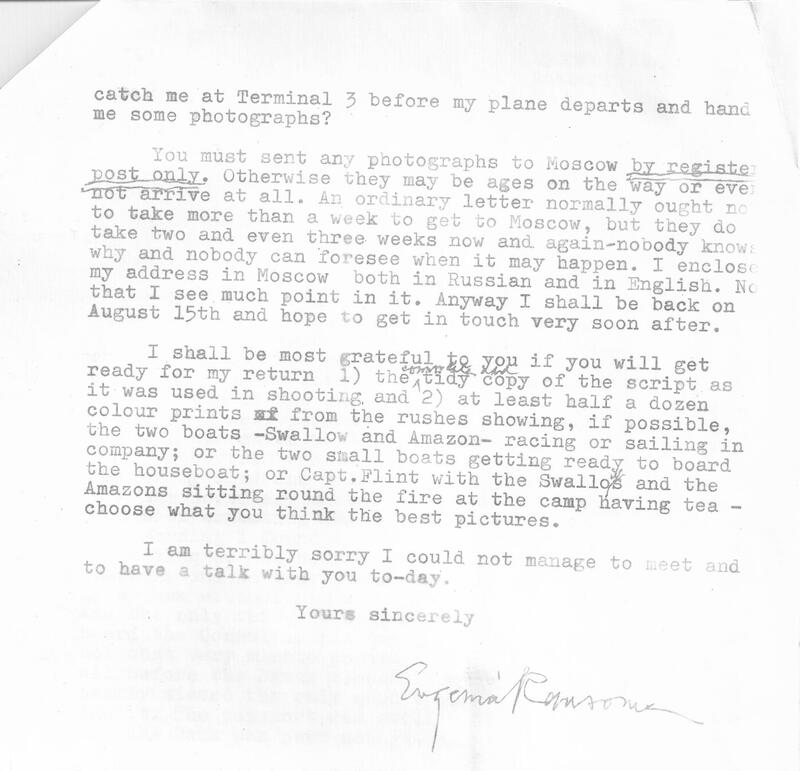 Ransome was utterly clear about the stories he wrote, sometime writing chapters in the middle of the book before writing earlier ones. His prose is spare and simple and very easy to read, and bears comparison with the writing of Jonathan Swift in Gulliver’s Travels — another writer with appeal to both children and adults.’ Michael Rines Do add your own thoughts in the Comments below. 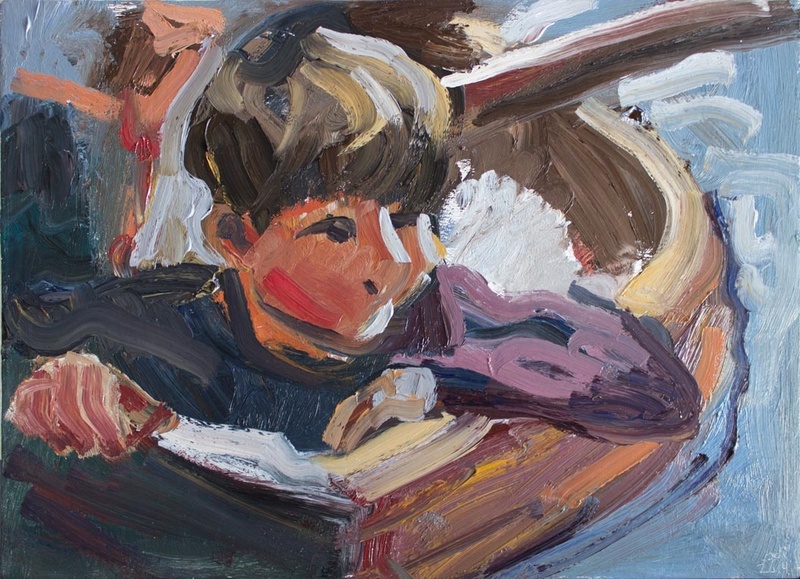 While ‘nearly all enduring books do so because of the writing,’ as another reader commented, children enjoy the camaraderie and the action that have been captured in these semi-abstract oils. Some of these paintings have already sold, some are available from the Lawson Gallery in Cambridge, some from Gallery Rouge in St Albans, at Highgate Contemporary Art, the Aubrey Gallery in Great Dunmow and direct from Fadi Mikhail, the artist himself. You can see more here.